For 35 years, Mission Federal ArtWalk has celebrated both visual and performing arts in San Diego. We believe art has the power to connect communities, cultivate new artistic talent and create a better quality of life for all through cultural enrichment. On April 27 & 28, 2019, Mission Federal ArtWalk will fill 16 blocks in San Diego’s Little Italy neighborhood. Thousands of attendees come to view and purchase artwork, enjoy music and dance performances, and participate in interactive art experiences. NEW THIS YEAR: SPECIAL PROJECT FEATURING SURFBOARD ART–Auction is now LIVE! To view the auction catalog and register to bid, click here. 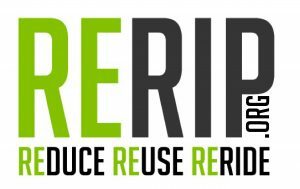 We are partnering with Rerip, a nonprofit organization that specializes in re-purposing surfboards, to create an art project that will be a fun-raiser for artists and the community and a fundraiser for ArtReach, our not-for-profit partner that delivers art education in K-8 schools Countywide, focusing on Title One schools. Access the press release with updated information on the auction and its purpose. We are delighted to announce that Jason Mraz is a participating artist! While in Little Italy, stop in and say hello to the wonderful team at the Mission Federal Credit Union Branch on 1370 India Street.